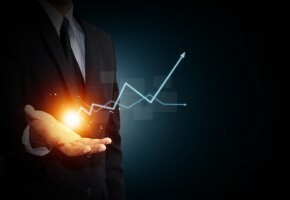 Business Growth - How to Get There Faster! [vc_row][vc_column][vc_column_text] Growing your business is simpler than you might think. Business growth is actually a defined and predictable process. The problem is nobody’s showing you the process! Most organizations that provide business owners with technical assistance are tactically focused. While tactics are important, if you’re doing the wrong things at the wrong time their help will only slow you down. So where do you go to understand stages of business growth? YOU’RE THERE!! Understanding business growth is at the core of how DE, Inc. helps business owners build company self-sustainability. We can teach you what has helped dozens of clients create powerful results. Using what you learn you can determine where you and your business are currently and exactly what it will take to get you to the next business growth stage. Now, Isn’t Business Growth Simple Enough? Notice I said simple, not that it is easy! But, you’ve already started a business so I am here to tell you that you’re up to the challenge! 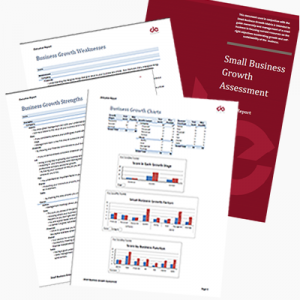 You can get started by learning more about small business growth and understanding how the factors that influence growth change at each stage of the growth model. We recommend that you sign up and take our FREE course Small Business Growth Simplified. Learn more about this course by clicking the button below. Once you understand the business growth model you’ll probably want to know exactly where you and your business are along the model. 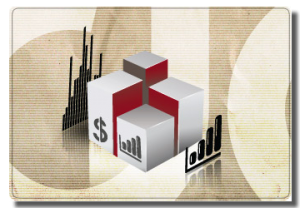 For this you will use our Business Growth Assessment. This small business tool is a 36 yes/no questionnaire that will help you pinpoint your current growth stage so you can more effectively plan your next steps to create a successful self-sustaining business. The 5 stages of the business growth cycle and the one, and only one, goal of each stage. The 8 factors, 4 leadership and 4 management, that influence business growth. Follow along as our cast of characters, 4 business owners in 3 companies, navigate the business growth model in their own business. There are cases and examples for everyone with these owners. Not Quite Ready to Spend Any Money? Let DE, Inc. help you get your business on the fast track to business growth and headed to business self-sustainability TODAY!! !